Emily Griffith Technical School is a unique public college offering an extensive curriculum including nearly 50 career-training certificate programs. Click here to view a list of programs. Front Range Community College offers a 2-year A.A.S. degree in HVAC-R as well as HVAC certificates in Commercial Refrigeration, Light Commercial A/C and Heating, and Residential A/C and Heating. Intellitec’s Colorado Springs Training school offers an HVAC-R degree program which is accredited by HVAC Excellence, an independent third party reviewer that sets the standards for education in the HVAC-R industry. Through this program you can earn your Associate of Occupational Studies Degree designed to take 18 months to complete; prepare for the test to get your mechanical contractor’s “Mech IV” HVAC License for El Paso county; prepare to sit for up to five professional HVAC-R certification exams – including “Univesal EPA Certification” – which demonstrates proper handling of refrigerants and knowledge of EPA regulations. Lincoln College of Technology’s Heating, Ventilation and Air Conditioning (HVAC) classes prepare you for a career that offers the opportunity to be out in the field working in various settings every day. This 213,000 square-foot Denver school is equipped with industry standard tools and machines to practice HVAC skills, including Hampden Trainers and an Energy Audit Training House. 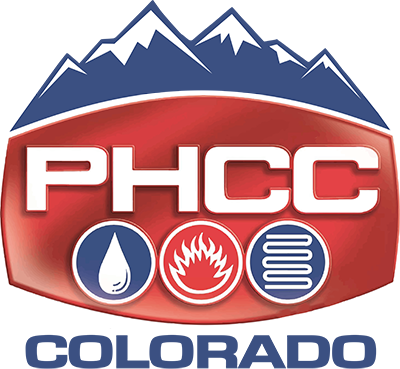 RRCC offers certificate programs in HVAC, Refrigeration, Forced Air Heating, Controls and Plumbing. Redstone offers an HVAC certification as well as a Heating/Ventilation/Air Conditioning (HVAC) associate degree training program.